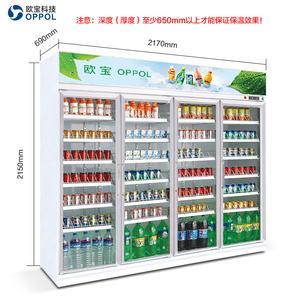 2 YRS Shanghai Zeatop International Trading Co., Ltd.
fridge showcase cold display for supermarket/glass display refrigerator Product name glass display refrigerator Temperature 0&#8451;~+10&#8451; Dimensions 630*780*1937mm Capacity 420L Product Details -01 If you need any help, please feel free to contact me. May Yang Phone/what's app: + 86 13826173277 Office address: NO. 1, Longhu Road Tianhe Guangzhou,China Factory address: sanfang Industrial zone, xiansha, gaobu town, dongguan, guangdong. 2. microcomputer automatic temperature control technology, the operation more convenient, more accurate temperature control. 4. Unique waterfall air distribution design, guarantee the item you apply evenly, refrigeration effect is better. 6. Add pull type air night shade, operating more energy save electricity at night 7. 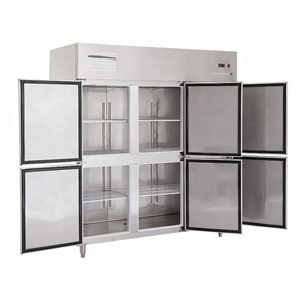 Pure copper tube evaporator, refrigeration and more even, the speed is more quickly. Name No. Specifications 1. Competitive prices 2. Qualified products 3. Customer's logo is available. 4. Fashion design & Portable 5. Multi-deck Brand Name: Elecstar Main Export Markets: North America Western Europe Key Specifications/Special Features: With curtain Under shelf LED lighting Casters for easy positioning 4 casters with 2 brakes Toughened safety glass on sides Digital temperature control Temperature display Payment Details: Payment Terms: Usance L/C, L/C at Sight, T/T With curtain Under shelf LED lighting Casters for easy positioning 4 casters with 2 brakes Toughened safety glass on sides Digital temperature control Temperature display Model No. 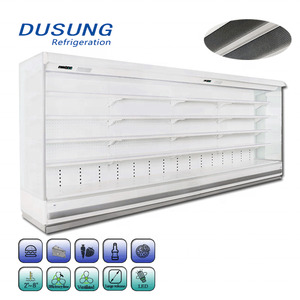 RTS-180 RTS-220 RTS-220-2 Gross capacity 180 220 220 Temperature range 2-10 &deg;C 2-10 &deg;C 2-10 &deg;C N.
1 YRS Jinan Shuimufang Refrigeration Equipment Co., Ltd.
14 YRS Shandong Xiaoya Group Imp. & Exp. Co., Ltd.
2. 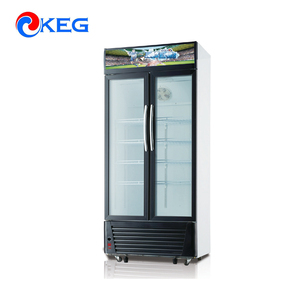 Advanced refrigeration technology, energy saving and environmental protection. 6. It can be connected by a single or multiple units to suit your length requirements. 7. 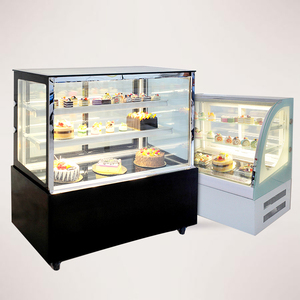 Brand-name compressor and fast refrigeration, even and stable cooling. 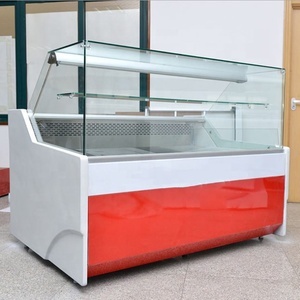 11 YRS Zhejiang Heli Refrigeration Equipment Co., Ltd.
1 YRS Xuzhou Phirella Cold Technology Co., Ltd.
Alibaba.com offers 20,181 supermarket refrigerated display products. About 92% of these are refrigeration equipment, 1% are other store & supermarket equipment, and 1% are supermarket shelves. A wide variety of supermarket refrigerated display options are available to you, such as supermarket rack, display stand, and wire shelving. You can also choose from heavy duty, light duty, and single-temperature. As well as from metallic, paperboard, and metal. 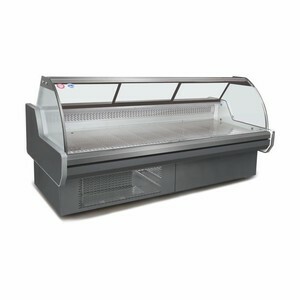 And whether supermarket refrigerated display is double-sided, or single-sided. 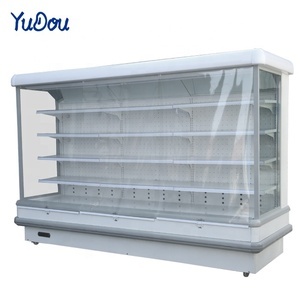 There are 20,181 supermarket refrigerated display suppliers, mainly located in Asia. 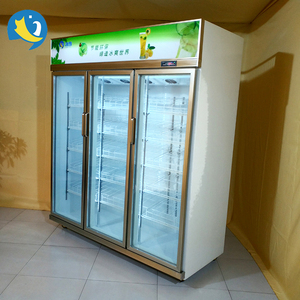 The top supplying country is China (Mainland), which supply 100% of supermarket refrigerated display respectively. Supermarket refrigerated display products are most popular in Mid East, North America, and Domestic Market. You can ensure product safety by selecting from certified suppliers, including 6,073 with ISO9001, 2,689 with ISO14001, and 1,980 with Other certification.